Water is one of the essentials of farm life. 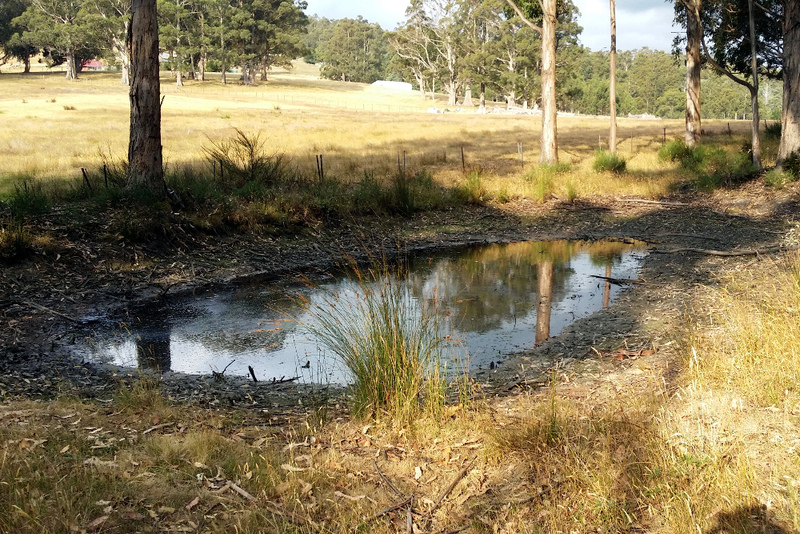 It is also one that we tend to take for granted, especially here in southern Tasmania, renowned as it is for being cold and wet. However the times they are a changin’, and much that once was is lost. This image shows the sad state of our rainfall for the last five years. i.e. an ever diminishing curve, interspersed with extreme events. But graphs are hard to parse. So here are some images that show what the numbers translate to in real life. So, basically, doom. 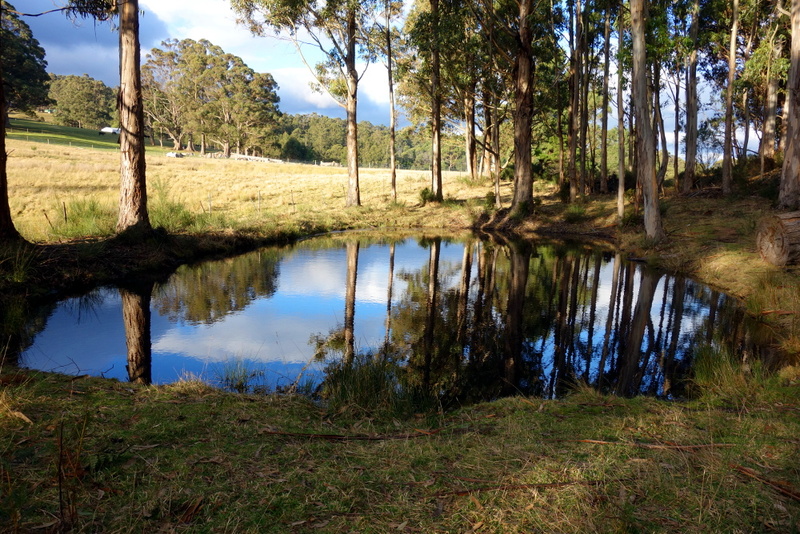 Fortunately this is only one of our three dams. 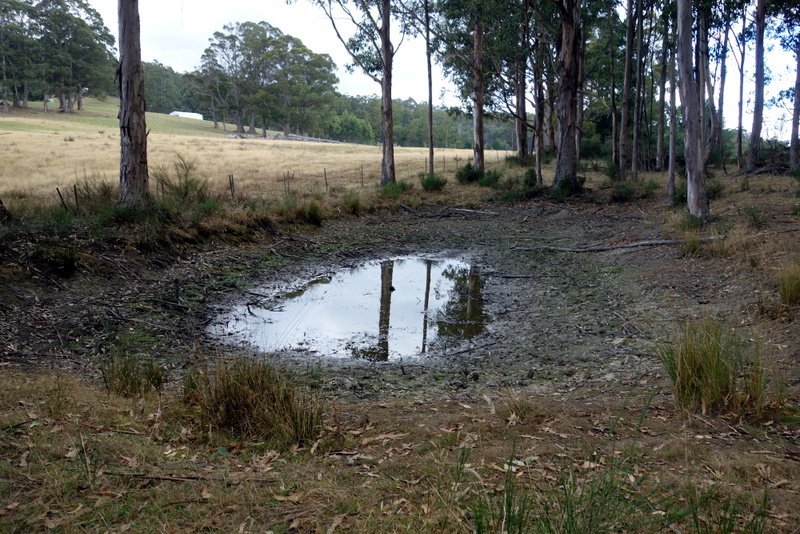 Unfortunately only one of the other two, our largest dam, from which we get water to flush our toilets and to water the garden, still has water in it. It is however at the lowest level we have ever seen it, and shrinking rapidly. We are in a much better position than many of our neighbours. One reason is that we are at nearly 400 metres elevation. Because of this it is a bit cooler than in the valley and we get some moisture from clouds that are passing even if they don’t rain as they have to rise over our hill to continue on their journey eastward. Another reason is we don’t have much stock. On our ten hectares, 25 acres in the old money, we have six sheep, two miniature cows, two pigs and all the chickens. The cows and two of the sheep are here as refugees. They belong to my sister who lives lower down in the valley and who consequently has no grass at all. Next month we will be getting our own miniature cow, but still that is not a lot of load for the land. This entry was posted in Uncategorized and tagged climate, weather by Morgan Leigh. Bookmark the permalink. A disturbing trend! Would a composting toilet be a way to save some water?